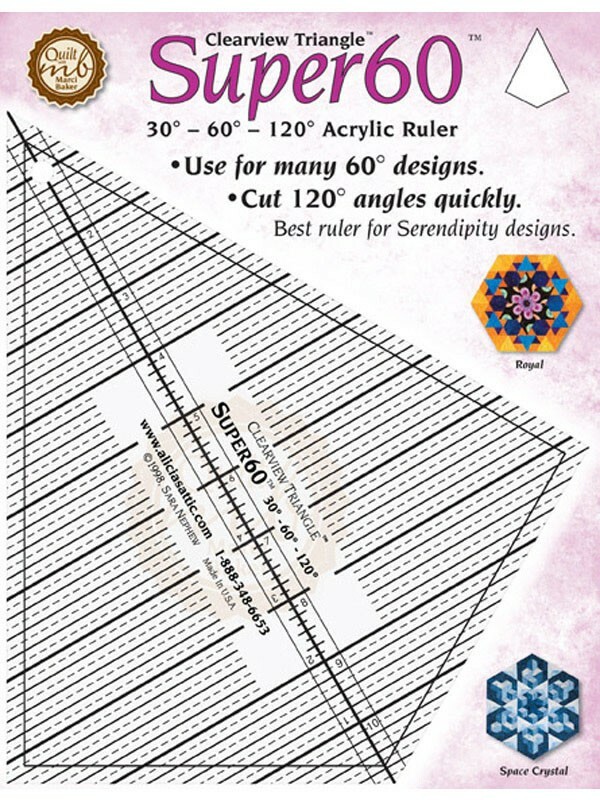 Make faster cuts for 60-degree designs that include 120-degree triangles and diamonds by using the Super 60. Easily rotary cut any pattern that utilizes these angles. Has both .5 and .75 cm seam allowance markings. Best used with Doubledipityv(Item #: 294059). Not recommended for Oh My Stars! (Item #: 430901) or ABC 3-D (Item #: 431001). Available in metric measurement (Item #:SUM-60) or imperial (Item #: SUP-60).